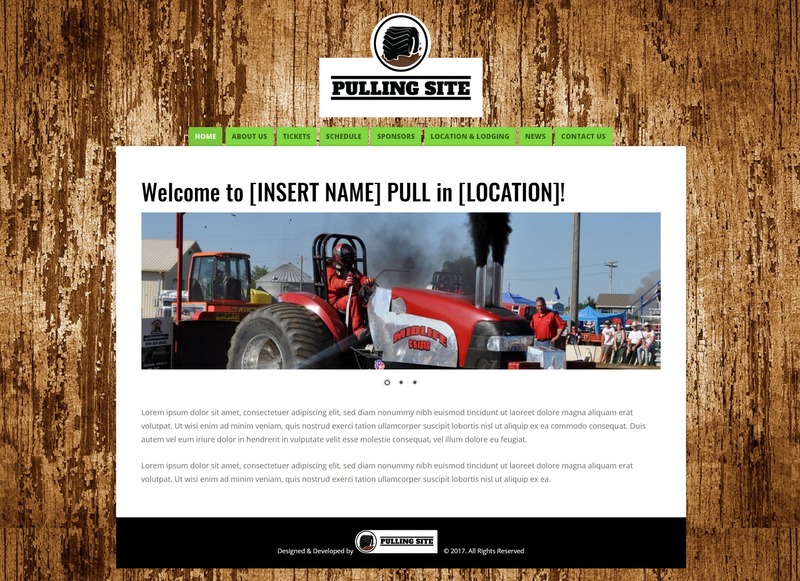 Create your pulling event website easily! 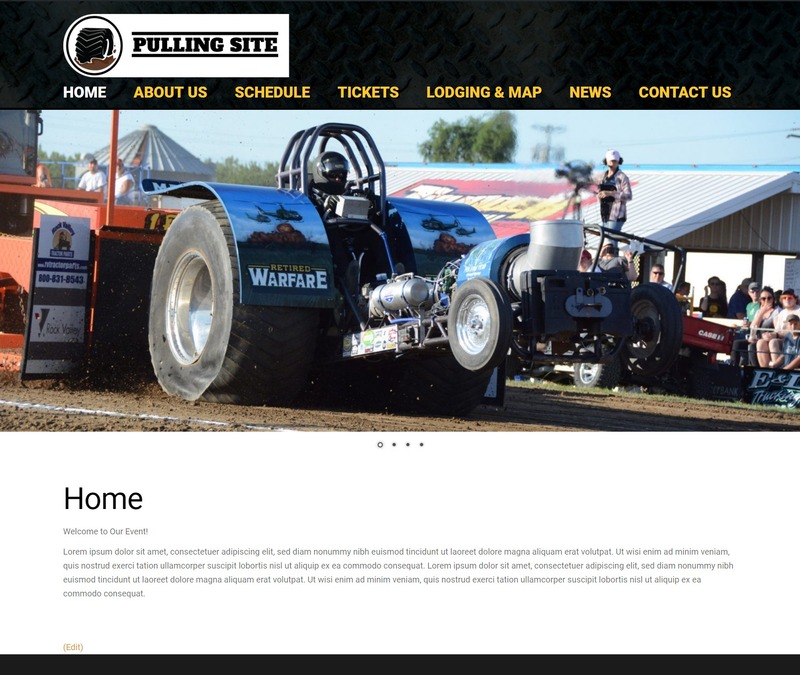 With Pulling Site, you can create a website to advertise your Truck & Tractor Pull easily through Pulling Sites. 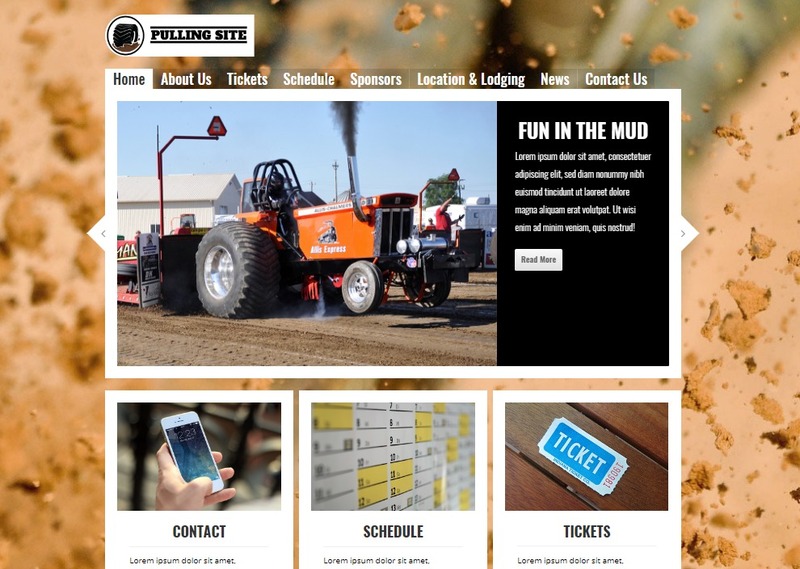 We’ve created website templates custom tailored to the needs of a Pulling event that you can easily set up and run by yourself! 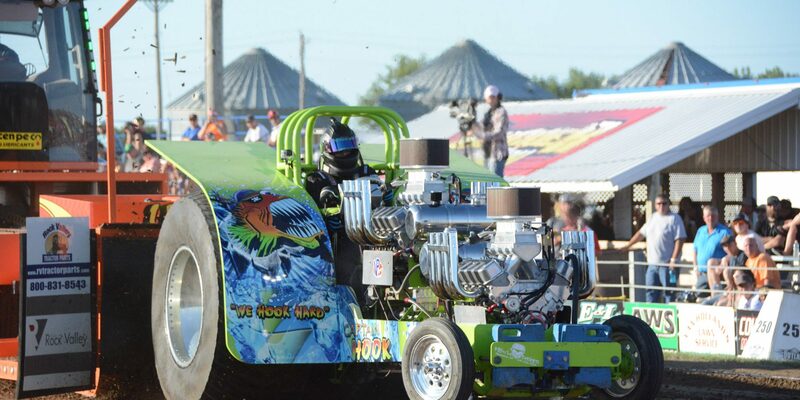 Increase your Pull’s attraction by presenting all of the right information in easy to read templates. Learn more about the different plans we offer on our Registration Page. Select a plan and sign up. Choose a domain and template. Get started: go to Registration Page. *Upgrade to Pro Site membership to add a facebook feed. You must have a business facebook page. If you need a facebook page set up, click here: Add-on Services. *Upgrade to Premium Site membership to manage your own site ads. See details here: Ad Management.